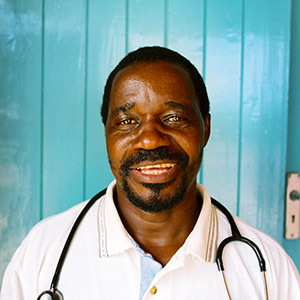 Tasked with overseeing the decentralization of HIV services, Gabriel has been instrumental in bringing HIV treatment to rural communities in Malawi. Gabriel has taught hundreds of health care workers to recognize symptoms, take blood samples for testing and counsel patients. Gabriel considers Dignitas’s ‘community-access’ model of care to be one of the organization’s biggest successes. “People have been able to access treatment who may not have been able to get it otherwise,” he says. Before Dignitas started bringing HIV care to communities, many people couldn’t access treatment because they couldn’t afford to travel long distances to the hospital. Thanks to tremendous support from the United States Agency for International Development (USAID), we have removed this barrier to care for more than 3.1 million people. Working in partnership with the government, Gabriel and other Dignitas staff provide mentoring and ongoing support to health care workers in six districts spanning Malawi’s southeast region. Having been with Dignitas since its early days, Gabriel has seen a remarkable transformation in his patients. “Before, we were seeing patients who were very sick. Now, we’re seeing patients who are healthy,” says Gabriel.